Villa Bella is a modern five bedroom luxury air-conditioned villa with private heated pool overlooking the beach of Porto de Mós where dolphins can be seen from the balcony! 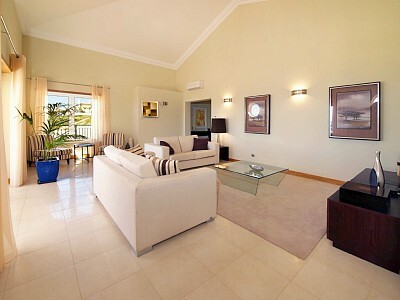 The villa is furnished and equipped to an extremely high standard. 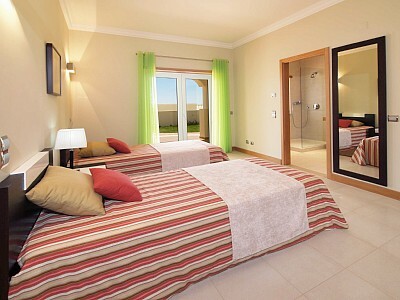 Accommodation consists of two double bedrooms and two twin bedrooms. 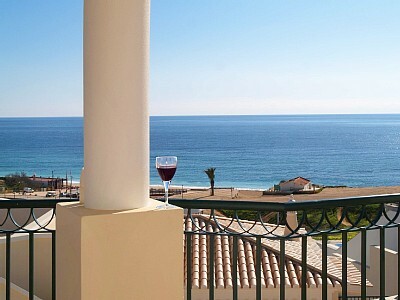 The fifth bedroom is a double and located in the annexe which has access to the main villa but is also self-contained. 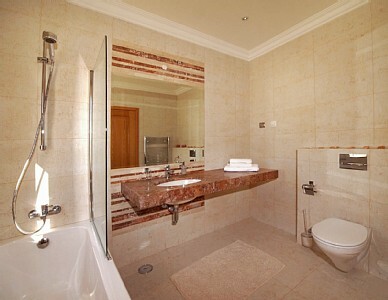 There are three en-suite bathroom and a further shower room. The sitting room is incredibly spacious and has satellite television and a DVD player. The dining room has seating for twelve people and a highchair can be provided if required. The kitchen is fully equipped and amongst the usual appliances are a dishwasher, microwave and washing machine. 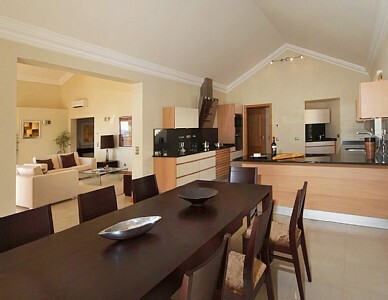 The villa has internet access and a private garage with parking. The large swimming pool is heated and there is a side gate offering access directly onto the beach. There is an outside shower. 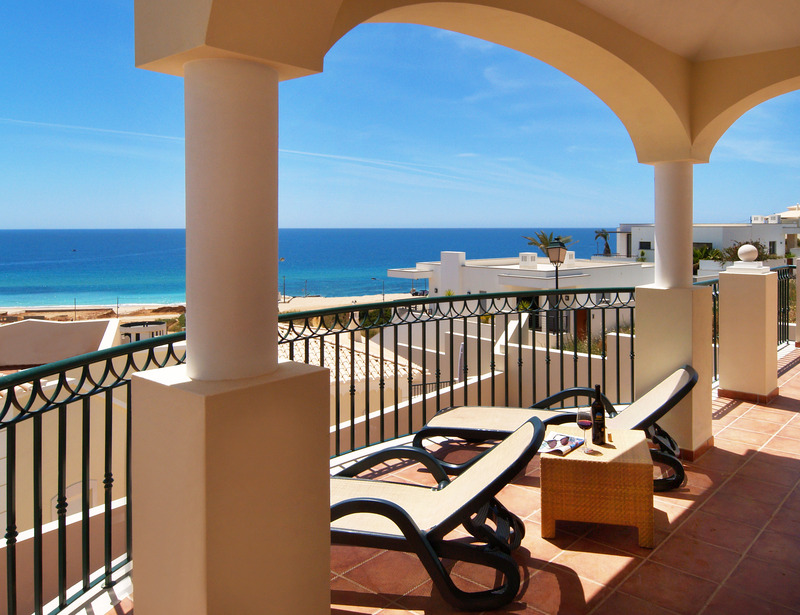 There are spacious terraces overlooking the beach with comfortable furniture for dining al fresco. Porto de Mós caters for scenic walks along the cliff tops to the nearby village of Luz. The beach is wind protected and at low tide there are many small rock pools ideal for children. Kayaking, boating and surfing are available on the beach. 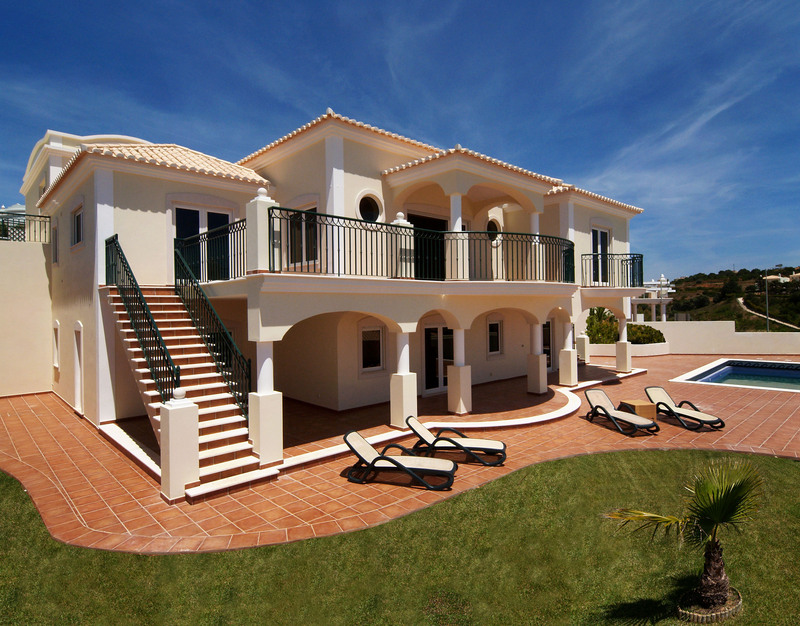 The beach offers first class facilities and is popular with the locals and visiting Portuguese and it is home to two quality restaurants – all within a few minutes walk of the villa. There are two fine-dining restaurants within a three minute walk from the villa and a supermarket within a few minutes drive. The bustling centre of nearby Lagos is only a short drive and offers countless attractive restaurants, shopping and a vibrant night life with clubs and bars to suit all tastes. 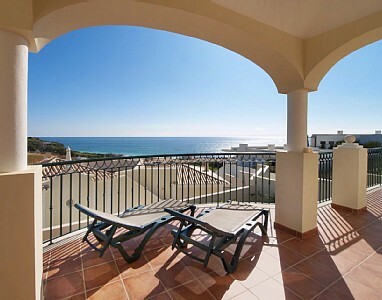 Porto De Mos is ideally situated to take advantage of the western Algarve’s golf courses and facilities as well as other outdoor activities including surfing and fishing with sea fishing trips leaving from Lagos marina several times a day.